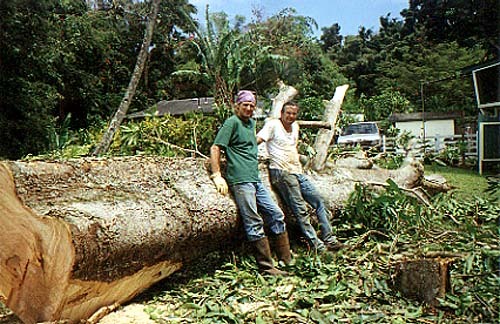 Andy Parker (left) and Wayne just after Wayne felled a Mango tree in the yard of one of Andy's clients. The trunk was 14 feet to the first crotch and 3 feet average diameter, full of gorgeous curly grain. Many very nice bowls came out of this.